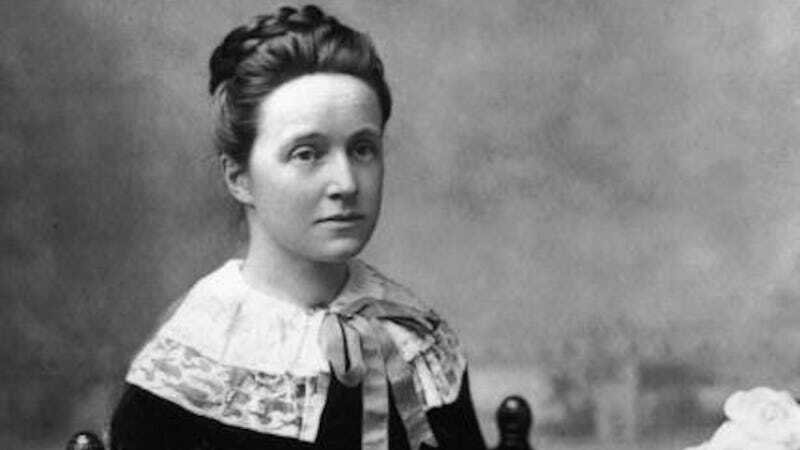 On Sunday, British Prime Minister Theresa May announced that suffragist Millicent Garrett Fawcett will be honored with a statue in London’s Parliament Square. She will be the first woman to join the ranks of those commemorated there. Great Britain has had no shortage of female leaders. Queen Elizabeth has reigned longer than any other monarch on the globe—she just recently surpassed Queen Victoria’s extensive rule from 1837 until her death in 1901. And of course, the country currently has a female Prime Minister. Yet as the New York Times reports, Parliament Square has so far been limited to the likenesses of men. Now Fawcett, who founded the National Union of Women’s Suffrage Societies in 1897, will join Winston Churchill, Nelson Mandela, Abraham Lincoln, and other illustrious figures from political history. In Great Britain, all women gained the right to vote in 1928 (in 1918, suffrage was granted to women over 30 who were either married to or members of the Local Government Register). Fawcett died in 1929, at the age of 82. In addition to Fawcett, author Jane Austen will receive national commemoration this year when her image is added to the 10 pound note. She will replace Charles Darwin. A quote from Austen’s famous novel, Pride and Prejudice, will be featured on the bill: “I declare after all there is no enjoyment like reading!” Time will tell if it will receive proper attribution; after all, you may recall that this remark is uttered by the loathsome Miss Bingley in an effort to flirt with Mr. Darcy. Perhaps it’s better if we overlook these details.